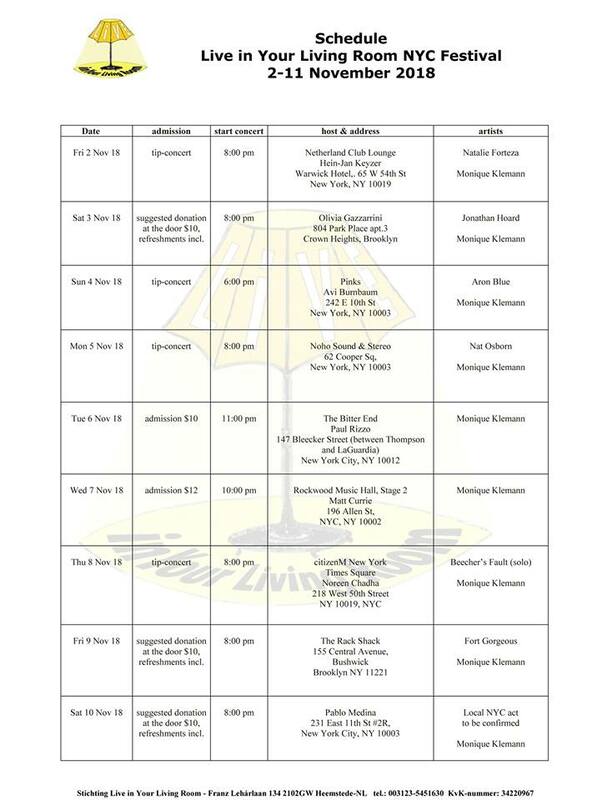 From 2-11 November, the 8th edition of Live in Your Living Room NYC Festival will take place - featuring Monique Klemann. The festival consists of concerts in a variety of intimate locations in Manhattan and Brooklyn. Monique will perform live with her band at the famous Bitter End (the birth place of Bob Dylan’s future stardom), Stage 3 of Rockwood Music Hall, Pinks, CitizenM Times Square Hotel and The Netherland Club. She will also perform in a few unique and beautiful Manhattan and Brooklyn lofts and living rooms. On most nights, Monique will be co-billed by a local NYC act. 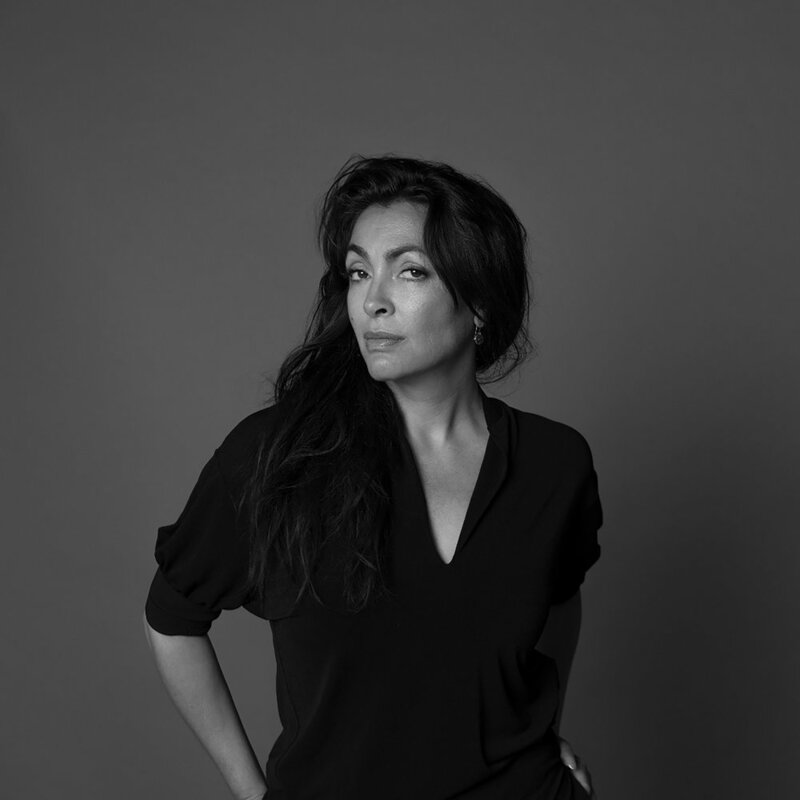 The singing career of Monique Klemann began in the mid 80's as a singer in the band Loïs Lane. Loïs Lane toured with Prince in the early 90s and Prince was enchanted enough to write several tracks for their album 'Qualified'. It was not until 2007 that Monique Klemann pursued a solo career with her album “On Patrol”. In between numerous guest appearances on Dutch television and live shows, Monique remained active recording and performing her own songs. The recent release of a mini-album 'Coool' (2016, Zip Records) showcases Monique in her new incarnation. Just recently, Monique released her brand new single "Sleeping Pill" on Zip Records. Sleeping Pill is the teaser for her full length album - to be released in the spring of 2019. 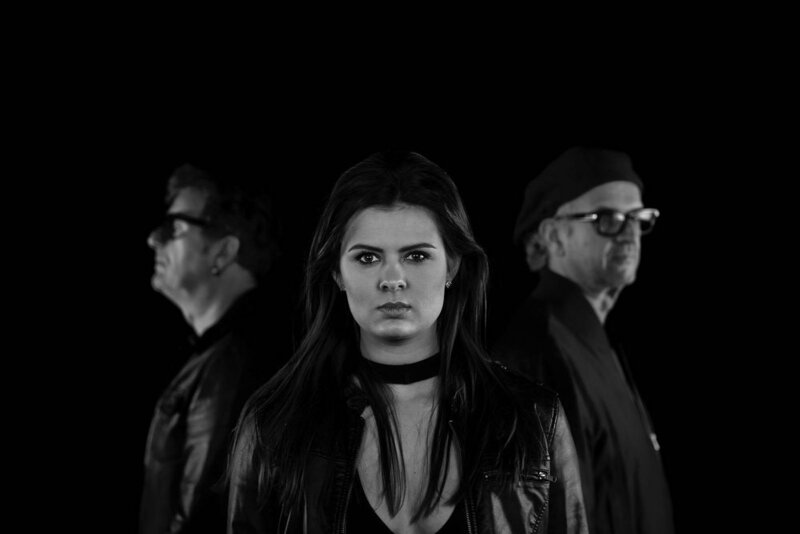 Klemann will debut her new look, her new sound as well as present some of her well known hits in New York City at the Live in Your Living Room NYC Festival. New single "Sleeping Pill" by Monique Klemann - Out Now! Monique Klemann, is back with a beautiful new single: “ Sleeping Pill”. In her new video she is wearing a dress designed by Ronald vd Kemp who is famous for his unique and sustainable creations. Monique’s career also characterises sustainability, which has survived many obstacles, trends and hypes - and has returned with a new album to be released early 2019 (produced by JB Meijers). The new single has been added to the Spotify New Music Friday and Monday Indie Music playlists. The song has also been picked up by NPO Radio 5 in the Netherlands where Monique was invited to perform an exclusive preview of the track in the week prior to its September release. The sixth and most anticipated album yet - "Underneath the Surface" will surface on September 28. Incorporating elements of soul, hip hop, jazz and classic pop stylings, Sabrina's new one will be the best way to flight the winter blahs. Best of all, the December tour around the major cities of Holland will be places to celebrate the music as it is meant to be heard.....live! Including the Paradiso Noord (Amsterdam), Utrecht, Rotterdam, these shows most often sell out so don't delay. The first single "Live & Learn" is the best teaser for what is to come. Her new songs were born from Sabrina's continuing passion with the themes of inspiration and hope - and inspiration never felt so good! New album "Another Bump in the Road" by Nigel Bennett - out now! The second Zip album by London's Nigel Bennett was rushed out to coincide with the infamous "Rebellion Festival" in early August. After all, Nigel has been serving for decades as guitarist for "The Vibrators" and his following has been underserved by new material for the past several years. "Another Bump in the Road" is the title of the new one and check out "The Punk Lounge" (25 July) interview with Nigel! If anyone is qualified to chronicle the life of a touring musician, Nigel is the one. The songs on "Another Bump...." reflect such musings and as Guitar Player Magazine in San Francisco knows all too well, this guy knows his way around a guitar. But hey...it's all about the songs and the new album is packed with guitar based tracks that sound good in all life's situations. Cruising down Santa Monica Boulevard or waiting for a train at Kings Cross, Bennett's songs reek with a sensitivity that may come as a pleasant surprise when compared with the assault of The Vibrators. 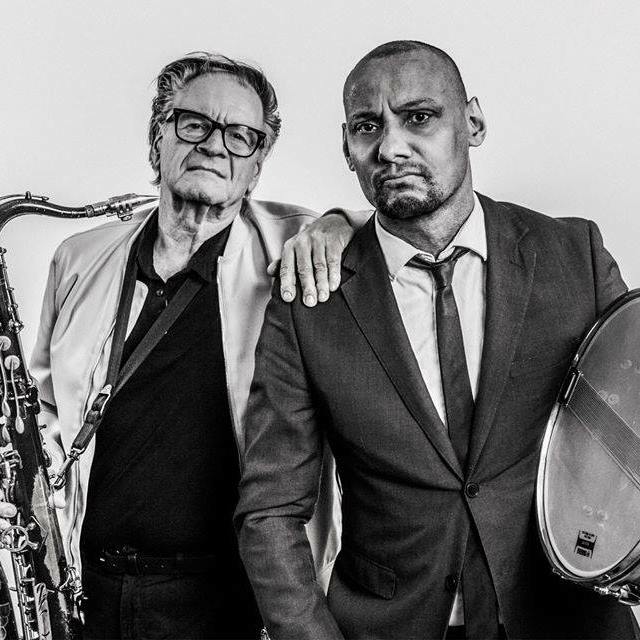 The new album by Dutch jazz greats Hans Dulfer and Cyril Directie continues to wow audiences, listeners and critics. Click here to read JazzNu review and here to read Jazz Enzo review. Dulfer and Directie meet up on occasion - their busy individual schedules are stacked against the chance to frequently share their "duo" repertoire. However, they have recently appeared on several Dutch radio shows as a duo and share the stage in other configurations as well. Next up for duo Dulfer Directie is an instore at Amsterdam's famed "Concerto". For anyone in the Netherlands area....it is 29 July (Sunday). Other dates will be announced soon. Listen to what the critics are lauding. First album "Fickle Island" was written and recorded in the Netherlands over four years ago. Since then Angela has been absorbing the Northern and Southern California culture. She has brought a new take to a "proven formula"- beautiful, breezy, romantic songs that make the coffee taste finer and the sun seem brighter. You, Me & the Sea continues to attract the same appreciative Spotify attention that surrounded Angela's first album and has already hit 60k streams. Angela was also featured on Vogue NL - where they premiered her music video and interviewed Angela about her life in Hollywood, "big in Japan" and motherhood. Angela will be heading to the Netherlands late summer to promote her new music. On August 26th her "homecoming" show will be at the beach in Scheveningen at Colorado Charlie - rsvp here. Stay tuned for more shows!